Our Arcade Game of the Month is called Furyman: The Dragon Warrior, a game that can get anyone hooked up in no time. Although it was already reviewed here on our website, we love it so much that we decided to share it with you again. With cool arcade graphics and addictive casual fighting gameplay, this game can be enjoyed by anyone. Let’s see what it is all about. What is Furyman: The Dragon Warrior all about? Developed for Android users this is an easy to play and very exciting fighting game which will challenge the player and test his fighting skills with each level. All you need to do on the game is to defeat as many of your opponents as possible located in two different lanes in order to progress and achieve the fury mode. Control buttons are available for each corresponding lane and the players need to be careful not to make any mistake because that will cost them a life. To progress and become the ultimate player, players need to take part in exams and complete as many levels as possible. Furyman: The Dragon Warrior as the fighting game that will test your skills and gets you hooked to playing on the first try requires you to try and defeat the highest amount of enemies as you can to achieve the fury mode that can make you untouchable. The combo mode keeps your pace to defeat the enemies and with every third mode, you will get a bonus life as well. For the player which increases the amount of brain and coin drops from his enemies, he will get the chance to unlock new additional content. The amount of gained experience and consequently with the speed of the hero to achieve another level is influenced by the general scores of the player. To accomplish certain consecutive tasks related to particular scores or combo threshold you need to take part in exams in each level. The player gets a new belt for every successful exam and for each failed exam he has the chance to repeat it by using his coins. 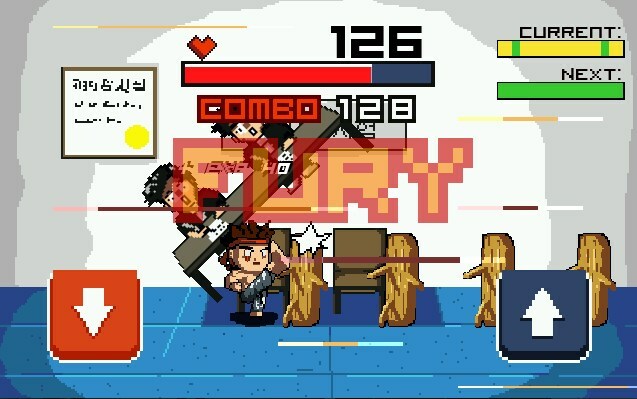 Players will fight 10 different enemies and choose between 8 playable characters and 4 different locations to pass the exams and progress to achieve the fury mode. Download the game on Google Play for free to take exams and fight opponents to reach the fury mode!